Happy anniversary to Atomic Indy. Thanks to you. One year ago today we began documenting the search for and renovation of our Mid Century Modern home in Indianapolis. Never a dull moment. We appreciate all the time you've spent with us. Reading. Commenting. Crash Partying. Inspiring. Sharing. We look forward to greater things on the horizon. With you. Below we've re-posted the first ever Atomic Indy blog post. This serves to remind us, and you of the roads we've traveled. Enjoy. 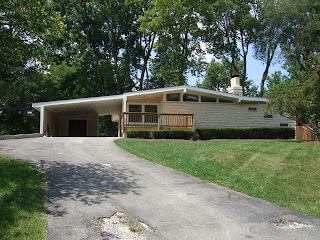 This blog aspires to be a self-portrait - a journal detailing the search for, and impending renovation of a mid-century modern home in Indianapolis. This will be a proof of existence. An outlet for sleepless nights. A resource to those who follow. We do hope others follow. 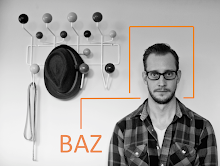 Happy Birthday Baz! Thanks for bringing us all along on the ride! Congratulations and happy birthday! Great blog!! Congrats on the first year. It's been fun following the renovation. Blog on! You've done a helluva lot in the last year - on your own house, organizing Atomic Crash parties, bringing together like-minded folks in all sorts of ways. You've definitely been an inspiration on all fronts. Thanks!! Congrats on the milestone! I look forward to many posts to come!! Congrats! Looking forward to what's to come. Happy Birthday! I've enjoyed reading this blog as I have developed an obsession with all things MCM. Please stop by my blog (if you'd like) - I've just posted a design dilemma for shelving in my living room. Would love your opinion. Thanks!